Founded in 1989, AG Hair Cosmetics was founded with a simple vision – “to create superior hair products.” Nineteen years later, the company is thriving. And, in 2008, CEOs and co-founders John and Lotte Davis were recipients of the Ernst & Young Entrepreneur of the Year award. AG Hair Cosmetics began in the basement of the Davis home. Focused on providing high-quality hair products, the Davis’s were intimately involved in the manufacturing process. Products were created after researching ingredients for their potential benefits. The first shampoo bottles were hand-filled and labeled by the Davis’ themselves. From there, they delivered products to local salons. 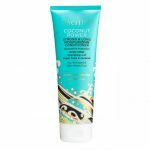 AG Hair Cosmetics produces shampoos, conditioners, styling products, finishing products, and two unique lotions. These products are made with the highest quality ingredients that work to enhance your hair’s natural beauty. Products are developed by an in-house chemist and then tested on human hair mannequin heads. The company has a strict anti-cruelty policy. They are recognized by PETA’s as a company that does not test its products on animals. Once the products meet internal quality standards, they are distributed to salons for further evaluation. A select team of stylists offers feedback on the products allowing AG Hair Cosmetics to refine the product. In all, AG Hair Cosmetics has over 45 products to choose from. Each product is featured on the official company website (www.aghaircosmetics.com). And, for those who are interested, each product has its own page that provides information on what the product is intended for, how to use it, what ingredients are in it, and the benefit(s) that the various ingredients provide. AG Hair Cosmetics are professional salon products that provide many benefits that are difficult, if not impossible, to find in retail store products. They are not watered down, nor are they thickened with sodium chloride or common table salt. Sodium chloride is known to dry out your hair and scalp. In addition, AG uses “laureth sulfate and ammonium laureth sulfate” in its products. These sulfates are more mild and gentle than the “lauryl sulfate” that is commonly used in retail store products. If you would like to purchase AG Hair Cosmetic Products, please visit a local salon that distributes AG. Products are not available in retail outlets. The AG website has a salon locator that can assist you in finding salons in your area that distribute AG products ( www.aghaircosmetics.com). If you cannot find a salon in your area, you can contact the company directly via email at info@aghaircosmetics.com. ← Harvey Prince & Co.